As Amazon looks beyond Seattle for a large part of its future growth, Microsoft is stamping its legacy on the region’s foremost engine of the innovation economy, University of Washington. The computer science department at the state’s flagship public research institution played a formative role in the early lives of budding programmers Bill Gates and Paul Allen, who famously snuck time on UW mainframe computers in the days before they co-founded Microsoft. 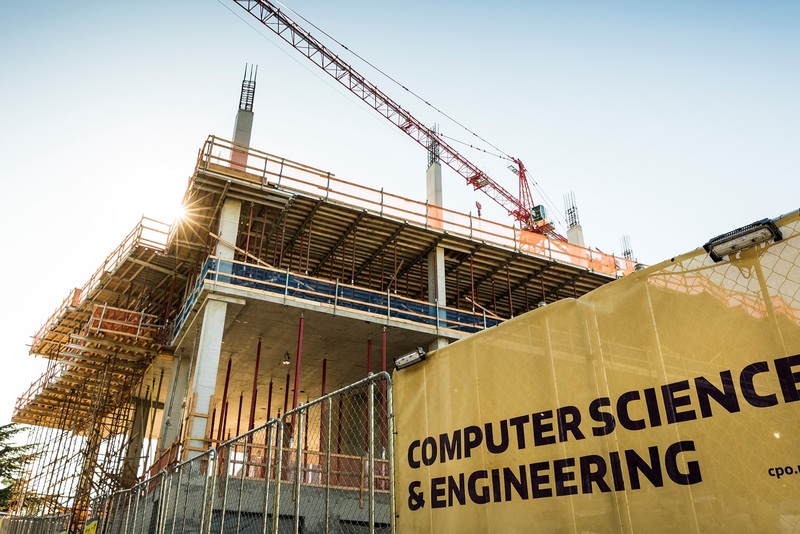 Now that department is the Paul G. Allen School of Computer Science & Engineering, thanks to a $50 million endowment from Allen and Microsoft announced earlier this year. Rising across the street from the existing Paul G. Allen Center—the computer science building dedicated in 2003—is a new edifice, which will be known as the Bill & Melinda Gates Center for Computer Science & Engineering. The company that defined the region as a technology powerhouse and many of the millionaires it minted in the process—a group calling itself “Friends of Bill & Melinda”—have pledged an additional $15 million to the new building, which, when completed in 2019, will help the UW double the number of computer science graduates each year to more than 600. The UW Board of Regents approved the naming of the Gates Center on Thursday. The $15 million in newly disclosed private funding is on top of $15 million in previous pledges: $10 million from Microsoft, which helped kick off the private funding drive for a second computer science building, and $5 million from Charles and Lisa Simonyi. In total, Microsoft and friends have pledged more than a third of the $110 million price tag of the new building. This latest contribution includes $10 million from Microsoft and $5 million from a who’s who of the company’s top executives, past and present, along with their spouses, including: Microsoft President Brad Smith, who led the private funding effort for the new building, and spouse Kathy Surace-Smith; the Simonyis, credited with the drive to name the building for the Gateses as an expression of gratitude; Jim and Catherine Allchin; Rich and Sarah Barton; Lloyd and Janet Frink; Craig and Marie Mundie; Satya and Anu Nadella; Jeff and Tricia Raikes; Rob Short and Emer Dooley; Harry Shum and Ka Yan Chan; Brad and Jan Silverberg; and John Stanton and Terry Gillespie. Also listed among the donors: Jeff Bezos, the Amazon founder and CEO, and spouse, MacKenzie. Amazon previously contributed $10 million to the building’s funding drive. Zillow Group, founded by Rich Barton and Lloyd Frink, also chipped in $5 million. Last month, Microsoft directed the naming of another major new UW building—the Global Innovation Exchange in Bellevue, WA—after former CEO Steve Ballmer. Microsoft contributed $40 million to launch the GIX, a first-of-its kind graduate program in which the UW teamed up with China’s Tsinghua University and was later joined by elite technical universities from around the world.